Shopping for a new countertop is an exciting experience. Yet it can often be overwhelming too, simply due to the abundance of options out there when it comes to materials, colors, and more. If you are going through your first home renovation, or it has been around 15 or so years since your last home update, you will notice that retailers carry many more affordable choices than you would expect. The standout amongst them is quartzite. 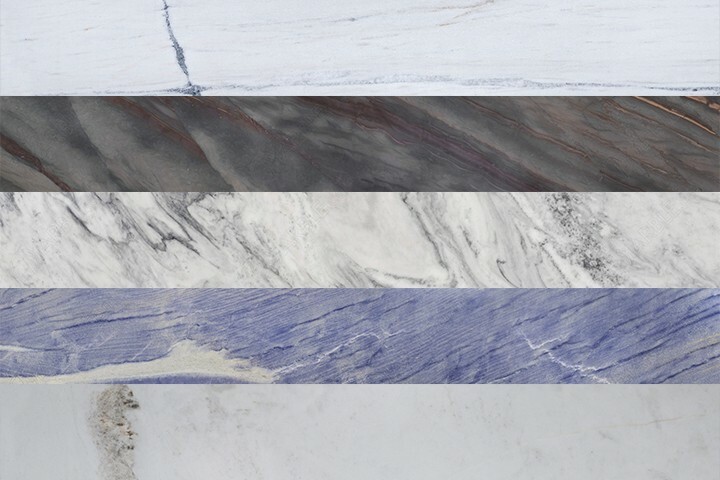 This hard, natural stone can be found in dozens of unique colors and patterns, and is often preferred by homeowners and designers who are looking to make a statement in the kitchen or bathroom settings. 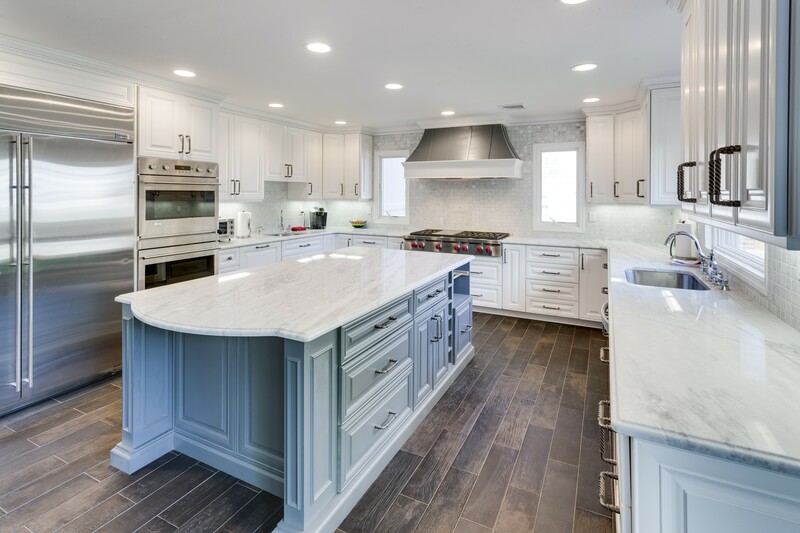 While it has been used as countertop material for quite some time, quartzite countertop costs have gone down drastically over the past several years. That means it’s the perfect time to consider it for your own project. How Much Does Quartzite Cost? Just like with any other natural stone, the price of the quartzite is determined by its rarity and popularity, use our Estimate Tool to get the price for your project. White quartzites that are commonly found in most stone yards are typically in the $65-85 per square foot installed price range, while some of the more exotic options can be found in various price points from $100 to over $200 per square foot. The prices and slab selection will drastically vary between slab yards and showrooms, visiting a large stone yard will certainly increase the odds of finding the right quartzite slab for the best price. Many buyers see quartzite as a great alternative to marble, because of the many similarities in color and veining patterns. And while marble is not a recommended material for countertop surfaces in high traffic areas, quartzite is a great natural stone substitute. 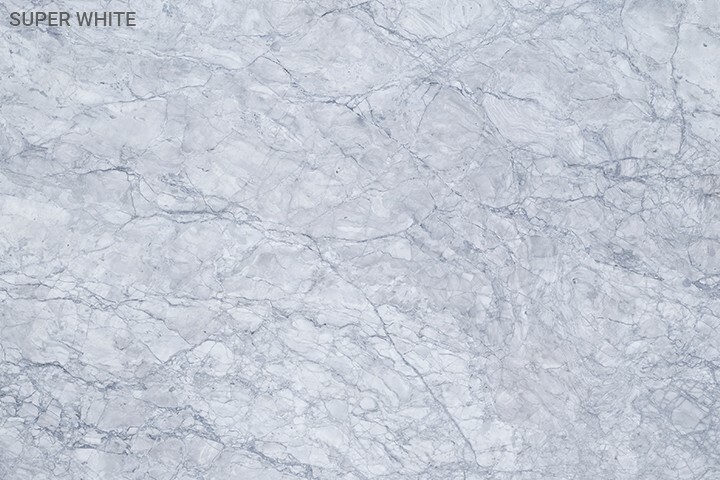 Quartzite comes out as a winner in every measurable aspect versus marble in terms of durability. Quartzite is naturally very hard; therefore, it is scratch resistant. In fact, it’s hard enough that we recommend using a cutting board during food preparations to avoid dulling the knife. It is also not prone to etching, which is a damage to the marble countertop sustained from contact with strong, common household acids such as citrus juices, coffee, tea or wine. But it’s important to remember that just like marble, quartzite is a porous material which needs to be sealed to minimize staining. White quartzite with grey veining will on average cost around $75 per square foot installed, while White Carrara marble can be purchased for as low as $50 per square foot. The higher price, however, is most often a justified expense for majority of homeowners since it provides an easy to work on and maintain kitchen surface with an unparallel white natural stone look. Before heading out to the nearest stone yard to browse their inventory, you can estimate the total project cost by simply measuring the total square footage of stone that is needed for countertops. As with all natural and engineered stone, the biggest price factor will be the total project area, followed by the amount and type of edging you select, and the amount of cutouts, such as sinks, your layout calls for. If you have these details finalized, you can use the online estimate tool to gauge your potential quartzite countertop costs. Popular quartzites include Classic White Quartzite, Super White Quartzite, Fantasy Brown Quartzite, White Macaubas and Taj Mahal Quartzite. The estimated per square foot price is based on an average 35 square foot project. As one of the best sellers in the quartzite family, this stone provides strong gray veining on a nearly perfect white background with just the right amount of sparkle under the right light conditions. Classic White is an extremely versatile material and is used by interior designers in project ranging from traditional to modern styles. To highlight the stone, consider installing undercabinet LED lighting, which will create the most dramatic effect. 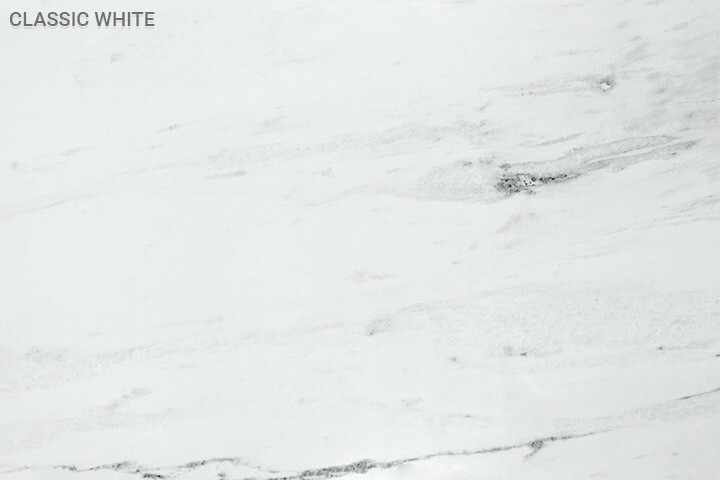 Classic White quartzite is also among the most affordable options, starting at roughly $65 per square foot installed. It is recommended that you visit the stone yard to view options yourself, as the slabs tend to have a lot of variation. If you’re looking for a stone that most resembles marble, but comes with way less maintenance, look no further than Super White Quartzite. These slabs are often mistaken for marble by an untrained eye, as they feature deep grey veins on a seemingly white background. Because it’s denser than Carrara marble, it is less prone to staining and requires less sealing. Super White has found its way into many homes as kitchen countertops and islands, bathroom vanity tops, bar tops, and fireplace surrounds. This one of a kind stone ranges in price between $75 and $125 per square foot installed. For those looking to introduce more color into their design, Fantasy Brown Quartzite might be the perfect choice. 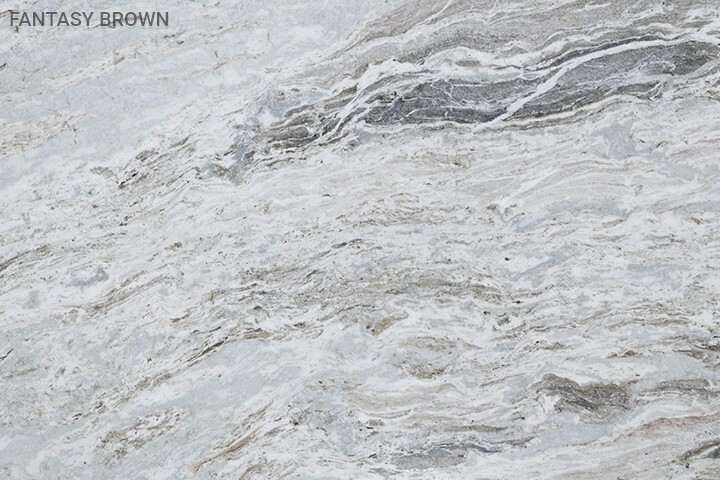 With a unique, marbled mix of white, brown, green and grey veins, this quartzite is used by homeowners for a wide variety of projects. It makes for a great focal point when paired with neutral tone cabinets and can make for a great centerpiece on a large island, which allows for the display of the grand, beautiful veining. With a large selection of slabs available you can expect to spend between $60 and $75 per square foot installed for an average size kitchen. 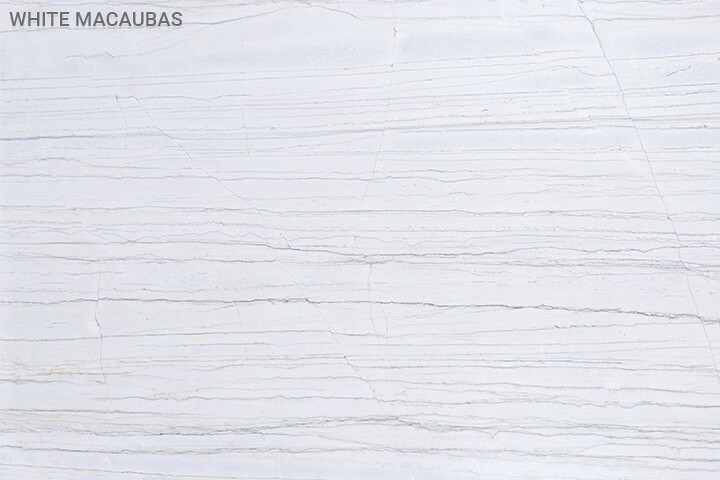 To add a touch of elegance and sophistication to your kitchen or living space, consider White Macaubas Quartzite. This off-white stone features long, straight veins of various shades of grey. Its popularity has swept through the design world and this quartzite has found it’s way into high end homes, as not only countertops but also as vanity tops, flooring and wall cladding. White Macaubas is a perfect stone for those considering a waterfall island as the long veins of the slab will pour over the edge to create a mesmerizing waterfall effect. The prices start at about $120 per square foot. This light beige stone with light brown veins, takes its name from one of the most icon monuments in India because of their color similarities. Taj Mahal has gained its popularity due to its light marble look and unprecedented performance in high traffic areas. While it comes with a hefty price tag of roughly $220 per square foot installed, this one-of-a-kind material is sure to turn heads of anyone who enters your home. If you’re on the hunt for a truly unique stone, there’s a chance you will find it in the quartzite family. 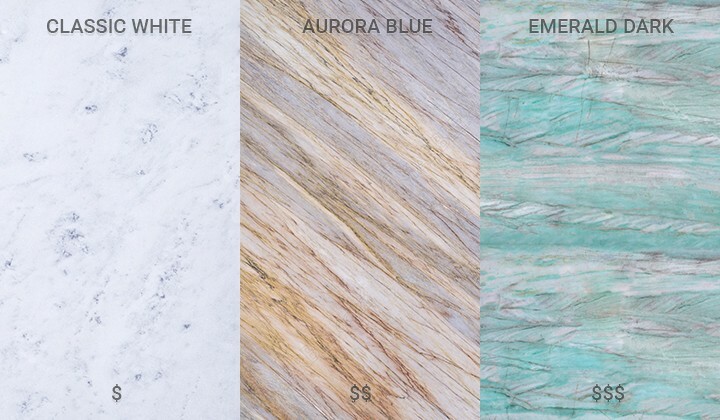 Some of the rarest naturally-occurring colors – like blue and emerald – are available in slabs of quartzite. While you can expect to pay an excess of $250 per square foot, they can make for great accent pieces like coffee tables or nightstand tops. 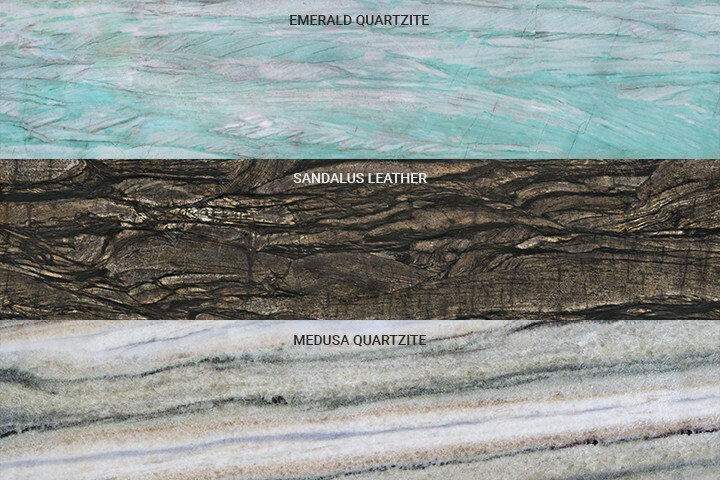 Other out of the ordinary quartzite slabs include Sandalus Leather – which is resembles petrified wood in both color and texture and Medusa Quartzite which carries long veins of green, orange, brown, and violet throuout the length of the slab. Is the Price Tag Worth It? Many shoppers are often concerned and ask whether the product they are purchasing is worth the price. Quartzite certainly is. Because of its durability, relatively lower maintenance and long-lasting product life expectancy, quartzite countertop costs are rivaling the comparable materials such as marble, granite, and quartz.